The 100th day of school is a perfect time to reflect on what has been learned, and to look forward to how much more learning will be done as the school year continues. This is a day that Pre K–Grade 2 students can have fun with the number 100 and share the language arts, math, art, social studies, and physical-education skills they have been developing. 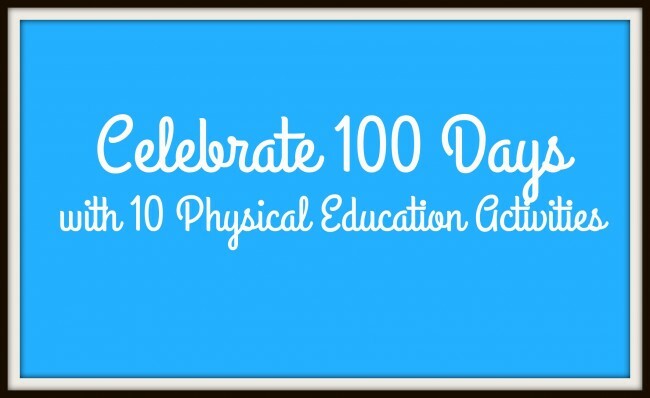 Here are list of 10 great physical education activities to do on the 100th day. •Alternate leaning to the left 5 times and then leaning to the right 5 times. •Alternate leaning backwards 5 times and leaning forward 5 times (reaching toward toes). •Do 5 neck rolls to the left and 5 neck rolls to the right. • 20 steps—running in place. Focus on keeping knees up! 3. Work with a partner to bounce a ball 100 times. 4. Jump rope 100 times or alternate jumping with a friend to get to 100. 5. Run the 100-yard dash. For younger children, try running 100 feet! 6. Alternate hopping on one foot, then the other, then two feet to get to 100. 7. Play hopscotch by 10s. Draw a hopscotch board counting by 10s. 8. Try using a hula hoop while counting to 100. 9. Alternate sliding to the left 10 times, then to the right 10 times. Keep going, counting by 10s to 100. 10. Bounce 100 times on a large fitness ball. 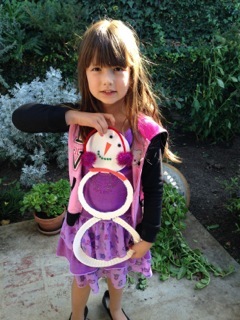 Make a 100 Day Hat or see more 100 Day activity ideas here. Fall is in the air in Blue Ridge Parkway in Virginia, and we’ve already started making tons of creative fall crafts! 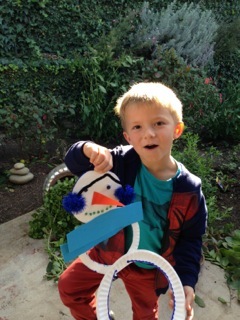 To create this fall leaf craft for preschool, kindergarten, and first grade students, I picked some leaves from my yard. 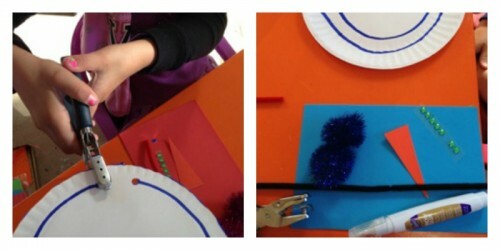 My students made foxes just like this using different colored leaves. The fox head was made out of a maple leaf. The fox ears were made out of rose leaves, and the nose was made out of a clover leaf. The students added some stickers for the eyes. 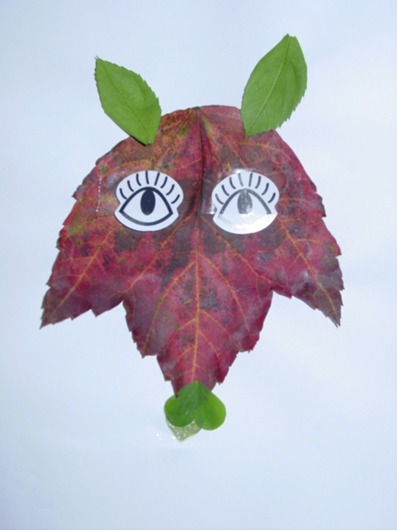 For older students, you could have them make all sorts of different animals out of leaves. Another easy fall craft is making a fall tree craft out of pretzels and crumpled pieces of tissue paper. 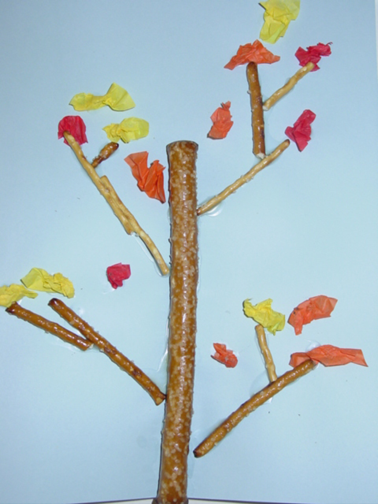 Each student glued a pretzel rod to a piece of paper to make the tree trunk. Then they glued smaller pretzel sticks coming out of the tree trunk to create the branches. The leaves were made out of small pieces of tissue paper in all the warm fall colors-orange, red, and yellow. 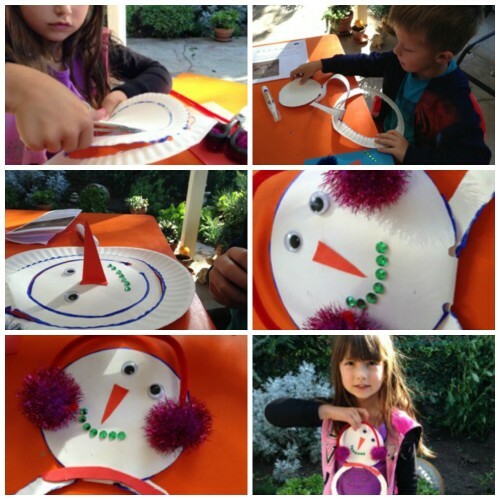 See more fall activities and ideas here. This bulletin board is a great example of using items you have at home and recycling it for classroom use. 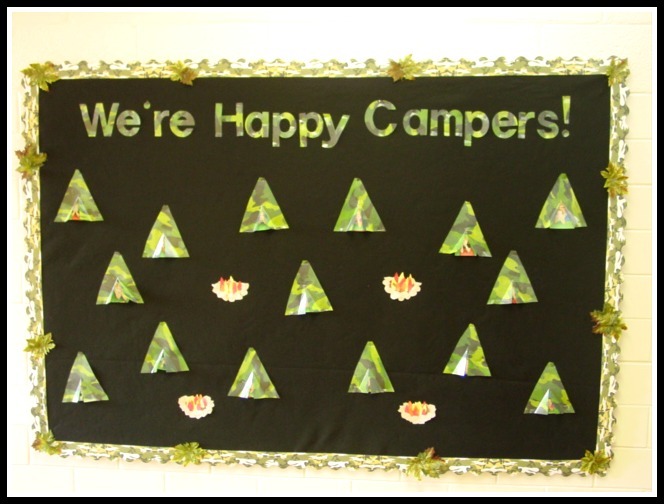 I had camouflage print napkins leftover from a party and decided to use them for a Happy Campers Bulletin Board. 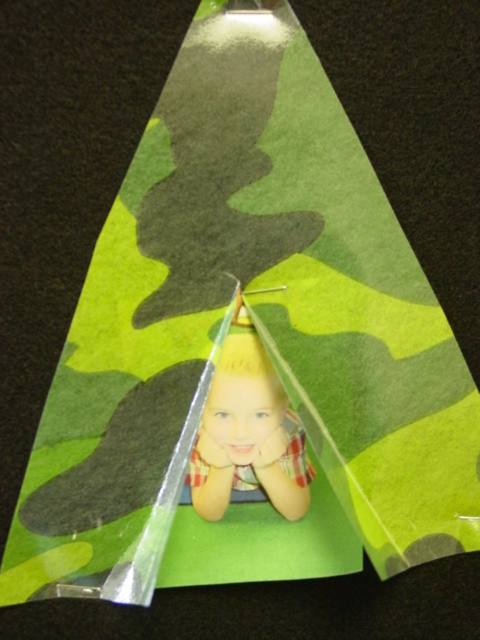 I made little tents by cutting the party napkins into triangles and laminating them. I cut a single slit in the middle of the camouflage triangle to make a little opening. On the first day of school, I took photos of each of the students lying on their tummies, holding up their heads, and smiling. I placed each student’s photo inside the tent opening. The little camp fires are made out of construction paper and orange and yellow tissue paper. I used camouflage letters to spell out “We’re Happy Campers!” To complete the look, I used Camouflage Scalloped Border Trim and added silk leaves for a fun, outdoor touch. The bulletin board would be a great addition to a recycle and reuse classroom lesson.